Last week, me and my classmates had the chance to step up in the heart of the professional football community. Firstly, we were invited to be part of the 5th ESSMA Summit which took place in Porto. This event represents the pinnacle in stadium management. Indeed, it gathers the most influential stakeholders and leaders of the venue industry and provides exhaustive discussions about stadium-related topics such as hospitality, safety and security, stadium development, daily operations, fan experience or sustainability among others. Conferences were organized around themes, where several guest speakers from a wide range of backgrounds and clubs such as FC Barcelona, Schalke 04, and Liverpool were invited to talk about their own experiences and give their insights, then followed by panel discussions which gave sharpness to the conversations initiated. 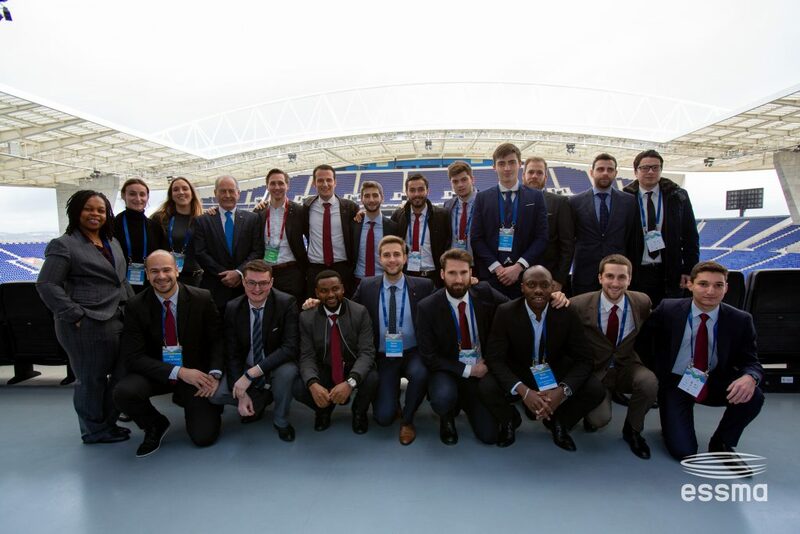 In addition to the summit content delivered by ESSMA, the experience itself represented a great learning value as we were immerged in the depth of the hosting venue, the Estádio do Dragão, home of FC Porto. By simply observing the stadium’s backstage and wandering within its facilities, I gathered a massive amount of knowledge and broadened my vision of what modern stadiums should embody. When starting in the football industry, events such as the ESSMA Summit are wonderful approaches to better comprehend the complexity of the football ecosystems and their dynamics. ESSMA focuses on knowledge accessibility and consequently, choose carefully its guest speakers in various areas of expertise to offer valuable content. My areas of interest for the summit were stadium operations and SMART & sustainability. Therefore, I had the chance to attend conferences about the implementation of a venue management system at Legia Warsaw and FC Porto’s sustainability strategy in the same day. Both presentations illustrated modern challenges encountered by football clubs and offered keys to better apprehend such questions in my upcoming career. From a social point of view, the conceived environment facilitates the networking and pushed myself out of my comfort zone. It allowed us, FBA Candidates, to gain confidence in our capacities, skills and attractiveness on the market. 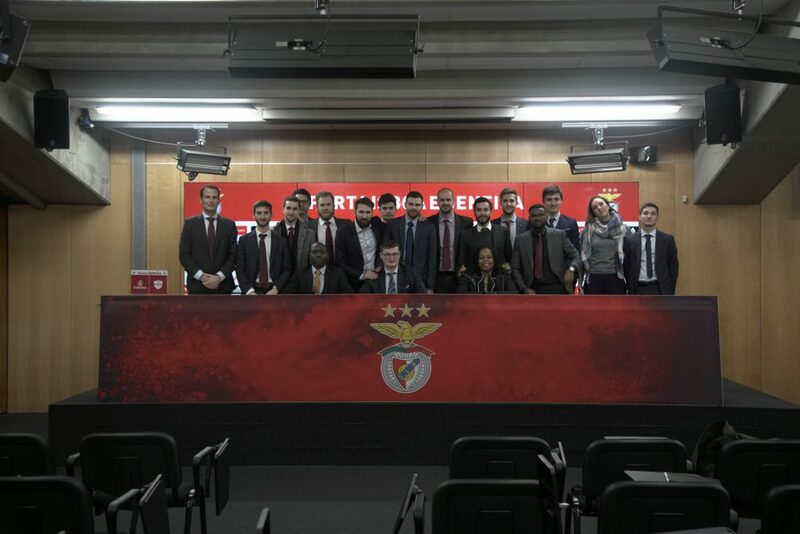 These two insightful days were followed by a two-day visit of SL Benfica’s infrastructures starting with the state-of-the-art stadium, the Estádio da Luz. 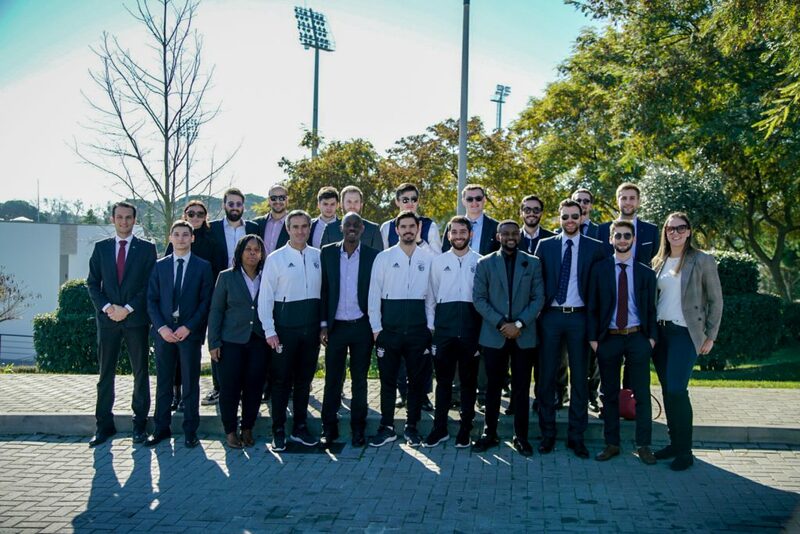 Indeed, as delightful hosts, Benfica opened their doors and welcomed us in their home as cherished guests. I will always remember their hospitality as an example of what sport is all about: community and respect. First, we had the chance to embark on an exhaustive stadium tour which went way beyond the classic suggested tour, completed by a museum tour. Then, the rest of our day was mainly about Benfica’s operations and strategy. Indeed, in a very intimate setting, we were given the chance to listen the decision-makers’ philosophy and initiatives to carry club’s objectives on the short and long-term, allowing us to interact in a very exclusive manner with them. They also arranged for us a true Benfica experience and tried their best to make us feel what the club stands for. On the last day, we took the bus and travelled away from Lisbon to the suburbs to visit the academy and training ground of the club. Usually closed to public, Benfica was kind enough to let us penetrate Caixa Futebol Campus and what we discovered inside was mind-blowing. Once again, they delivered transparent presentations about their operations and took us on a tour of the sporting complex. This visit gave another dimension to this field trip and to our degree in general. Indeed, while studying football business, I tend to forget the product itself, and when strolling around the campus, it put everything in perspective. It really embodied all the classes we had before and made what we learned real and tangible. The overall experience was concluded by an in-depth exploration of the club’s warehouse and retail activities. It allowed us to complete our global blueprint of a successful club’s operations. Attending the ESSMA Summit and spending two days discovering behind the curtains of a major European club was a fantastic learning experience. Portugal was kind to us and offered the opportunity to enrich our minds. ESSMA organized a world-class event without flows and Benfica demonstrated a true sense of hospitality to us. I can only feel satisfied for what I experienced but with the desire to keep learning and to grow within a very promising industry. 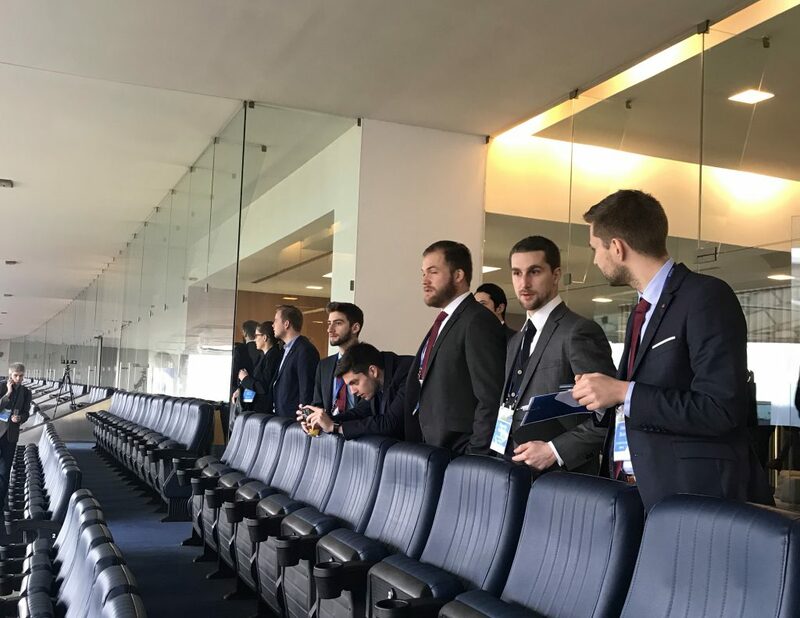 Alexandre Baronciani is a Candidate of The FBA’s Professional Master in Football Business 2nd Edition, expected to graduate in March 2019. He can be contacted via LinkedIn.